These salads are relatively inexpensive because the meat is processed. 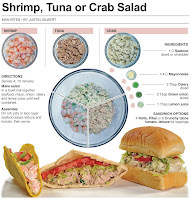 The flavor and freshness would multiply by a thousands if you purchased and cooked all of this meat yourself, but it would cost a ton of money and time, and if I had fresh tuna or crab – there is no way it’s going into a salad! 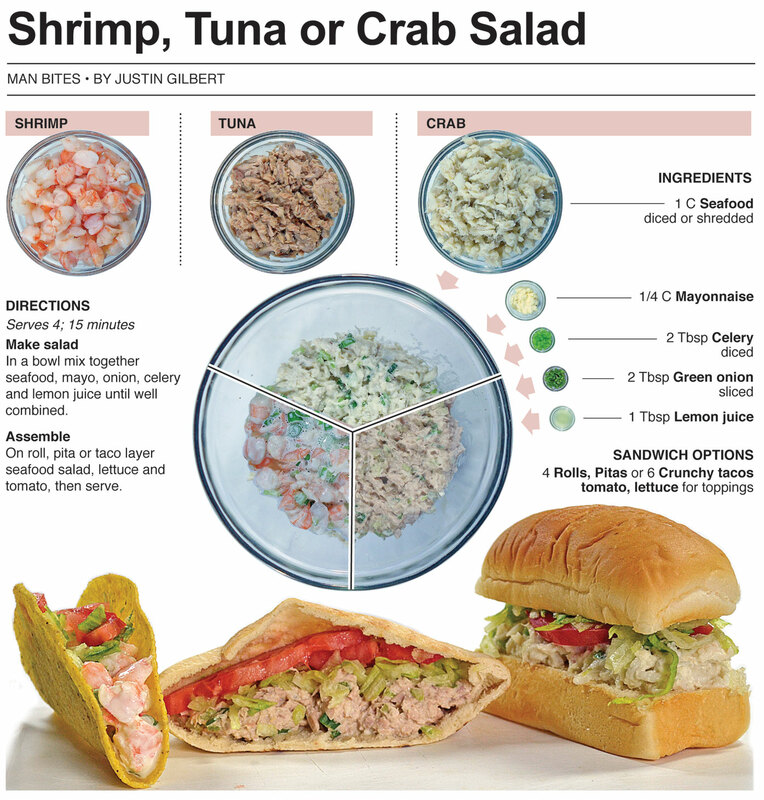 These are affordable options for a practical lunch or an afternoon picnic in the park. They come together quick and can be transported easily and assembled at the location. 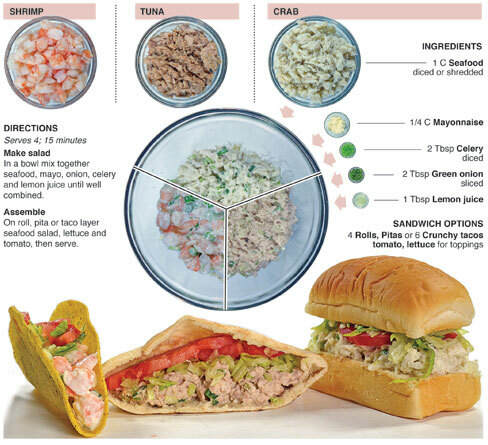 On the Food Network, or television cooking in general, they almost never use a processed item like canned tuna. They would grill a tuna steak then cut it up and put it in the salad. Not a single person I know would do that for a tuna salad sandwich. 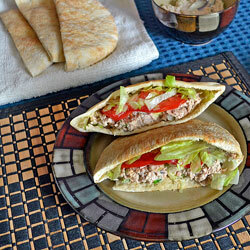 Canned tuna is cheap and it tastes good enough for a delightful lunch. Would I serve canned tuna at a wedding? Hell no. This is realistic everyday cooking and a true 30 minute meal. I love food television, it has inspired and taught me countless things I am grateful for. (Jacques Pepin is on the tube right now in my office as I write this) But, it is geared to people with money and time to burn. It would be awesome to see Bobby Flay turn something like a Tyson breaded chicken breast into a quick and easy dinner with his gourmet touch, or watch Rachel Ray make a 30-minute meal that can actually be made in thirty minutes outside of a scripted television taping. Do I want them to do this with every recipe? No. But it would be nice to see them get creative with more processed or freezer isle items because that is how the majority of us cook when we need to get food in our bellies. As creative as they are in the kitchen it would be cool to see what they did with items like that. I would love to buy all fresh food and organic meat but my money goes much further when I mix it up. If I had an unlimited budget this post would be a lobster roll – Made from live lobster that I caught in the ocean, boiled up on the beach and ate until my stomach hurt. I would make the lobster salad the next day with the leftovers. Maybe one day. For now I’m just gonna keep cooking and eating. Amen brother. I love this post.